hd00:15Fish eye view of a shallow sandy lagoon with reflections on the ocean floor. 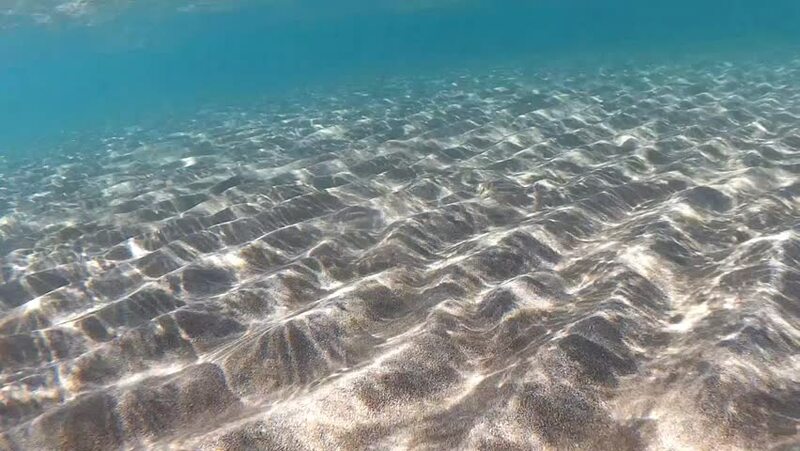 hd00:53Beautiful background underwater Mediterranean Sea. Seabed with sunlight through turquoise water surface underwater shot. hd00:06Beautiful background underwater. Stones under water In the clean Mediterranean sea. hd00:35aerial drone view of surfers catching waves in the ocean. Ocean Beach San Francisco, USA. 14 December 2014.